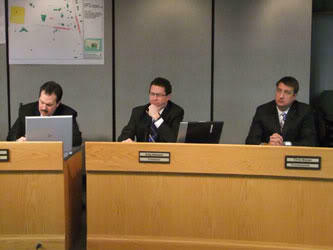 Hamilton County Commissioners (L-R) Todd Portune, Greg Hartmann and Chris Monzel. Two of the proposals call for increasing the sales tax to balance the budget but that idea is finding little traction with the board. Commission President Greg Hartmann says, "I am not prepared to support revenue enhancements in the form of tax increases in this current economic climate to fill our budget gaps in the county. And I think that makes, obviously, the challenge more difficult. I think that we as a county government have got to continue to live within our means. I think the public expects us to live within the reduced revenue which we currently receive." 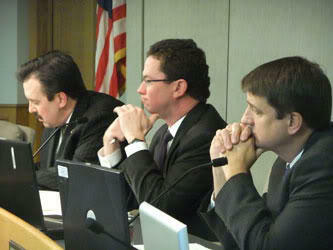 All three commissioners indicate they'll be crafting alternative budget solutions. October 23, 2012 at 6:00 p.m.
October 29, 2012 at 6:00 p.m.
October 30, 2012 at 6:00 p.m.